I'm more than a little bit Irish, and I'm ready to celebrate with lots of green and good cheer when St. Patrick's Day hits us in a few days. The kids and I decided that we needed to add a few lucky touches to our home in honor of the special day. And guess what inspired me? Excess. What do we have a ton of? Yes, you guessed it paper clips! Let's use these to make our wire sculptures. 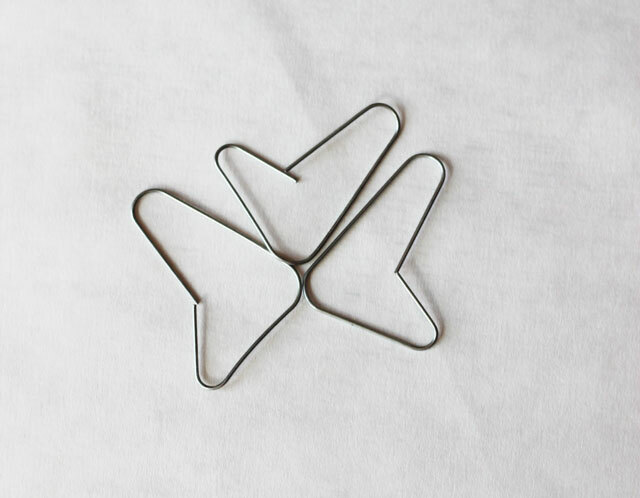 Grab your pile of paper clips, a green permanent marker (Sharpies are awesome for this), and some lightweight wire. 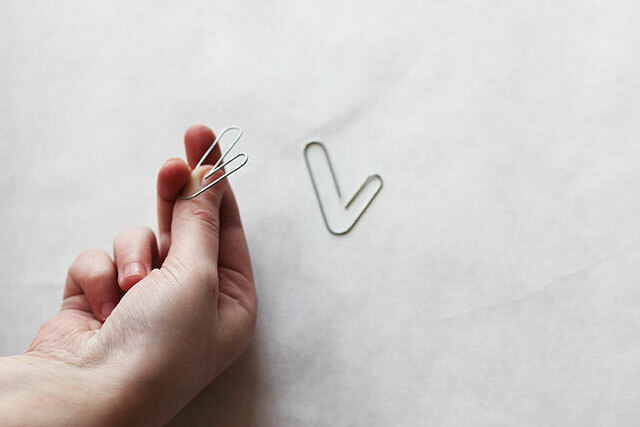 Spread the inner loop of the paperclip out to one side. Your clip will now resemble a spread V or a checkmark. Spread the two ends until they meet each other in a petal-like formation. Continue this process with the two other clips. Grab light wire and wind it back and forth at the connecting point in the center of your shamrock. 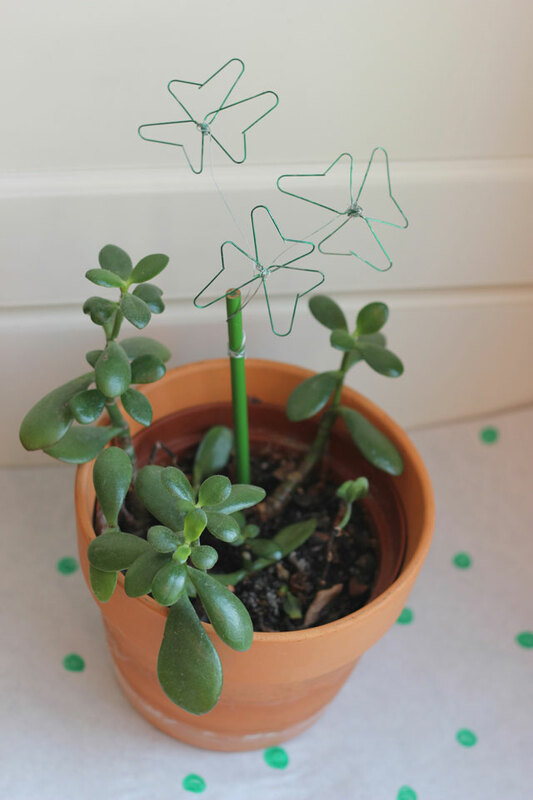 Use the excess wire to function as your shamrock stem. Color the clip with your marker, painting both sides and the wire as much as possible. 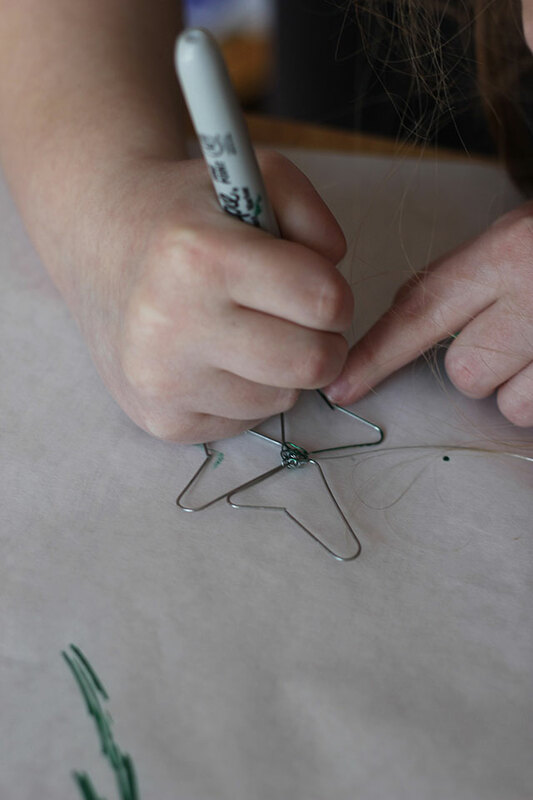 Wind the stem wire around a pencil for a St. Patrick's Day topper. Tie the shamrock around a green ribbon and put it atop a special package. Stick in your lapel for a festive touch to your outfit! 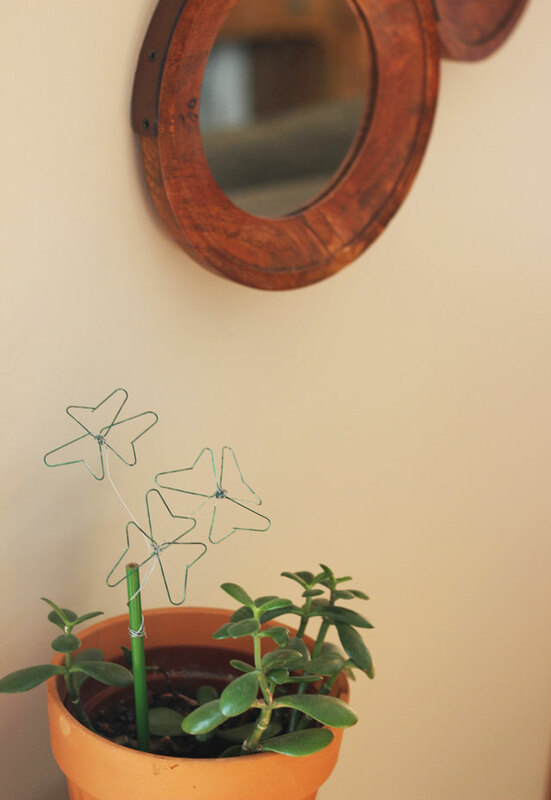 We planted ours with the lucky jade plant to wish our guests the luck of the Irish!